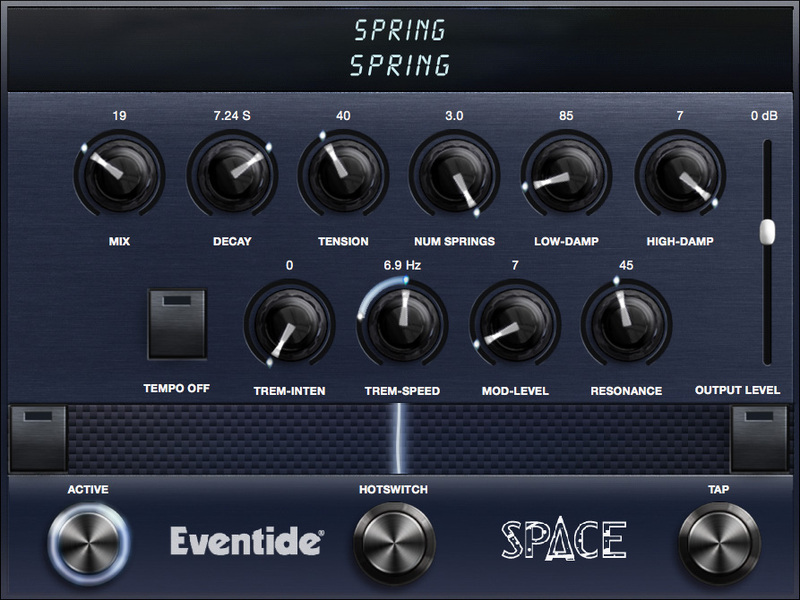 Spring models the sound and character of the popular artificial reverbs found in guitar amplifiers. It also goes a step further by allowing access to physical parameter controls not readily available in a real spring tank. By tweaking these parameters, the Spring algorithm can create faithful representations of real springs or push the physical boundaries to achieve new distinctive sounds. Pay extra attention to the Tension [TNSION] and Num Springs [NUMSPR] knobs to control the amount of "sprionginess". For good measure, we've also included a tube amp style tremolo at the reverb input.